General Information:One Dozen Titleist AVX Golf Balls Your photo/logo in full color&nb..
General Information:One Titleist Pro V1 Golf Ball + Custom Packaging with your logo on both i..
General Information:Titleist Pro V1 Golf Balls With Your Logo | Half Dozen Your ..
General Information:Special Promo: Buy 3 Dozen Personalized Pro V1, V1x or AVX, get the fourt..
General Information: Golf Ball Tube: 10 2 3/4" Tees, 1 Titleist Golf Ball Tees: 1 Colo..
General Information:Two Titleist Pro V1 golf balls with your logo printed on each ball. ..
General Information:Two Titleist golf balls with your logo printed on each ball. Show..
General Information:Titleist Pro V1x Golf Balls With Your Logo | Half Dozen Your..
General Information:One Dozen Titleist Tour Soft Golf Balls Your photo/logo in full co..
General Information:One Dozen Titleist Velocity Golf Balls Your photo/logo in full col..
General Information:One Dozen Yellow Titleist Pro V1 Golf Balls Your photo/logo in ful..
General Information: Golf Ball Tube: 10 2 3/4" Tees, 2 Titleist Golf Balls Tees: 1 Col..
General Information:6 Pro V1 Golf Balls in a beautiful Titleist Box Your photo/logo&n..
General Information:Two Titleist Pro V1 golf balls with your logo printed on each ball in ful.. Custom golf balls are a great way to set yourself apart on the course, and everyone loves adding their own personal touch to the game. Yet, when you order personalized golf balls from CMGE, you can choose from top brands like Titleist, Callaway, Taylor Made, Nike, and Pinnacle. 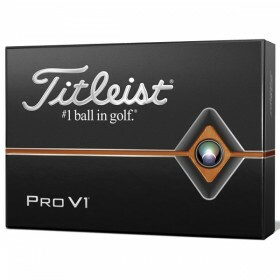 As far as our selection of customizable Titleist logo golf balls go, we have a few great options, including the well-known Pro V1 which is built for precision and long lasting durability. Of course, you’ll also have the option to order by the dozen or in packs. We also offer the Titleist Pro V1X , AVX, DT Tru Soft, Tour Soft and Velocity. Titleist is well known as the premier golf ball brand on the PGA Tour used by most of the major pros for longer distance and consistent flight. With each high performance golf ball having a soft feel, it is only properly fit that that many golfers indicate it helps them shoot lower scores. While the majority of companies only offer Titleist in large quantities, Custom Made Golf Events offers these with your logo with a few as half a dozen balls. To customize a Titleist golf ball with your logo, the process is quite simple. Once you’ve selected the golf ball, you can use our design tool to upload your logo or text, adjust it accordingly, and make your order. If you need assistance with your design, we can help out. We’ll add the logo for you and send virtual proof to ensure it’s what you want. Once approved, we can begin the print process and ship your custom golf balls—it’s that simple.